Happy Friday Y'all! I wanted to take a moment to thank everyone for their sweet words after Monday's post. I miss my sweet girl so much, but I KNOW that we made the best decision for her. I just pray that she's found a great family who will love and adore her as much as we did. 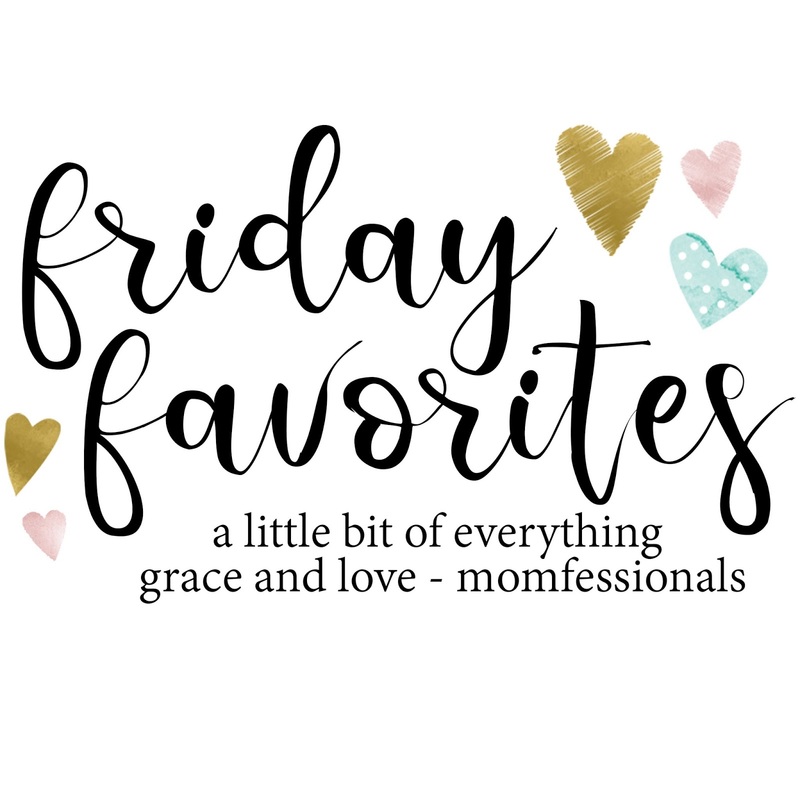 I've been a little down this week, so I've been perusing some of my favorite online places and I've pulled together my faves to share with you all. We're going to Orlando in May, so I've snagged a couple of things that I know will work for our trip. 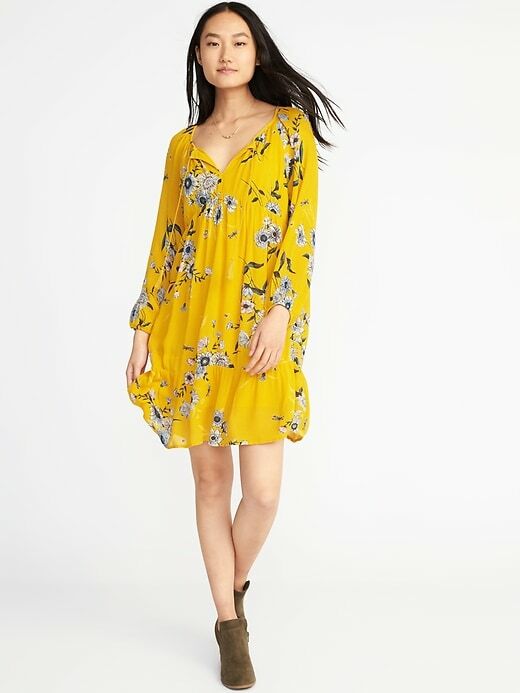 I went into Old Navy for a sports bra and saw this cute yellow floral dress on my way to the checkout. I thought it would be perfect for a casual date night. And...it's on sale! Under $30 and it's yours. 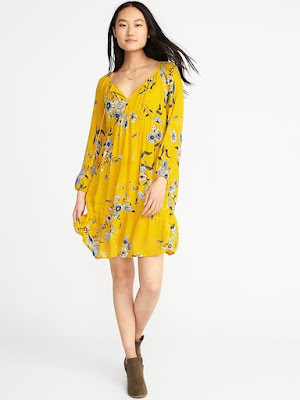 Another pretty dress! 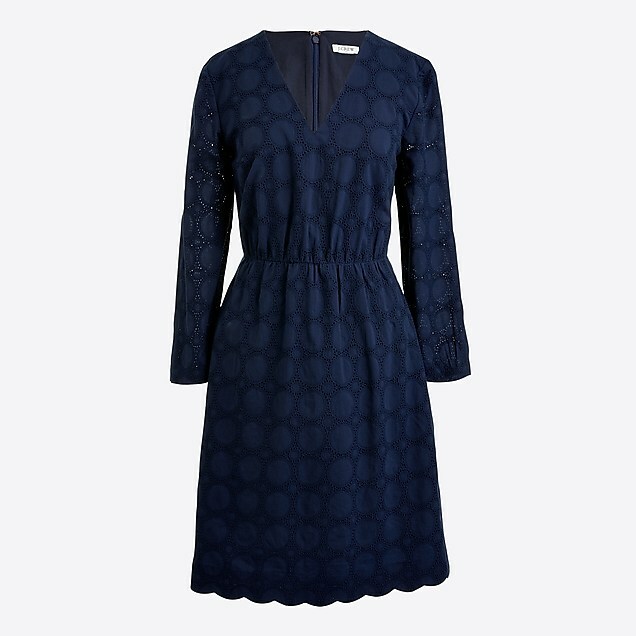 This gorgeous blue lace dress from J. Crew Factory is on its way to me! I love the lace details and the scalloped edging. This one will be great for work I think. Use the code GOLD at J. Crew Factory for an extra 25% off your purchase today! 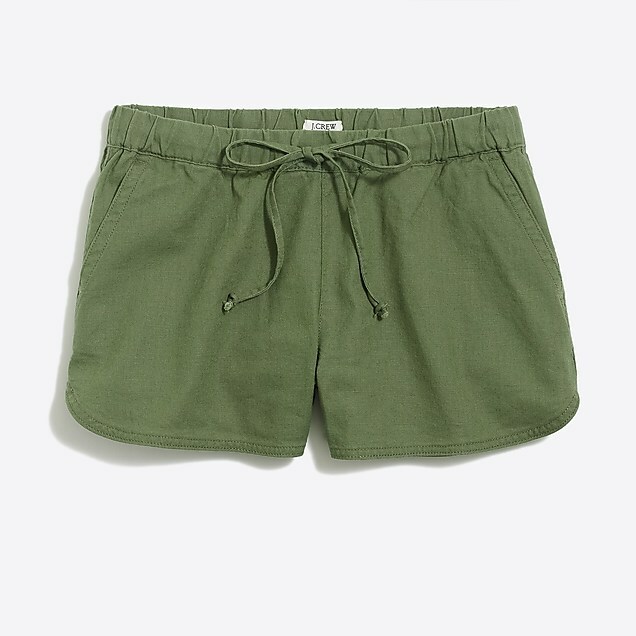 I have the Factory shorts in chambray and I LOVE them. Since they were 25% off, I got the olive and the navy. They will be great in Orlando and summer in Texas. 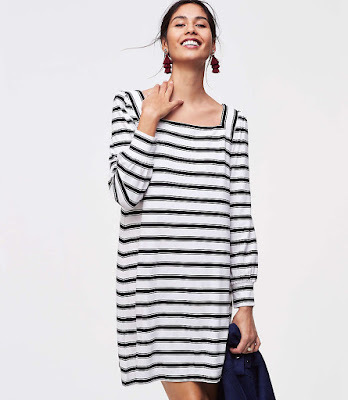 I love the square neckline on this striped dress from LOFT. And y'all, it's marked down to $24! 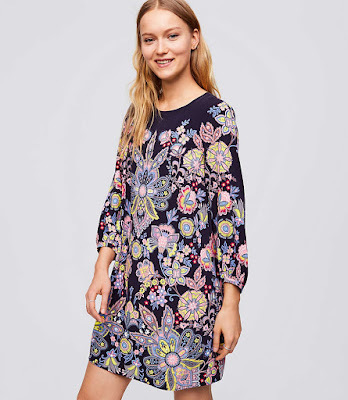 Another fun dress is this botanical shift dress and it is on sale for $42. I have this one and it is so fun and pretty. 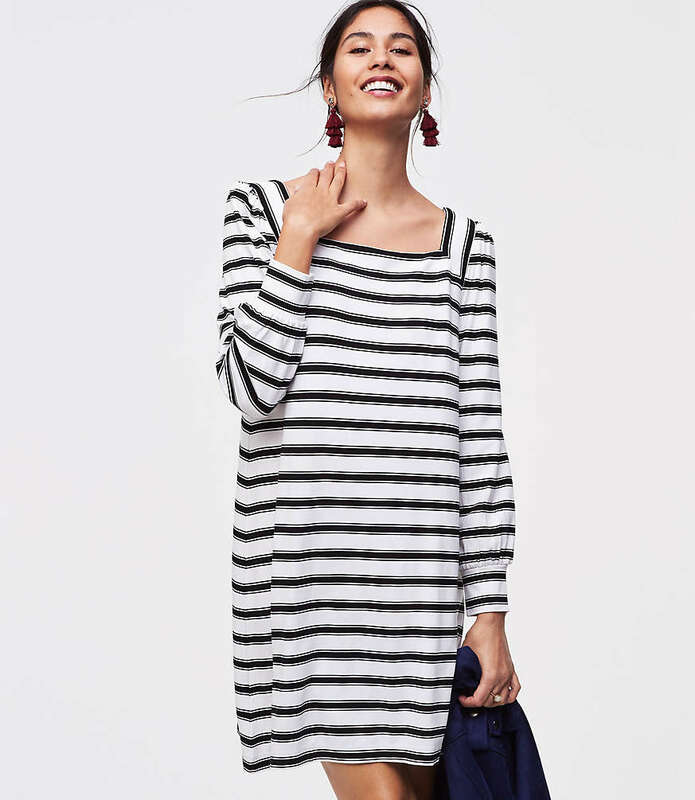 A shift dress is also flattering on just about every body type, so make sure you grab this one! It would be perfect for Easter! 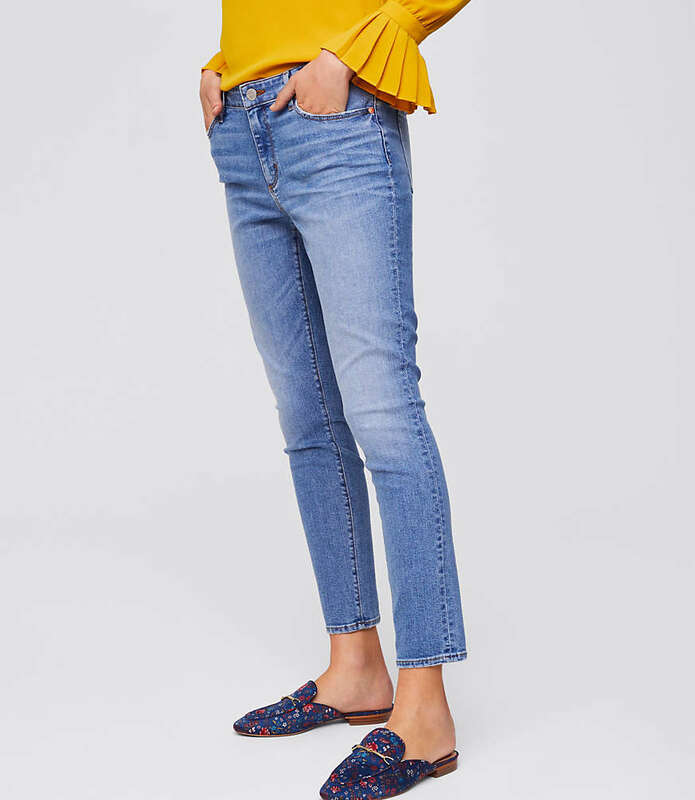 LOFT is my go-to for jeans. I have never been disappointed. They last, they come in modern (slimmer fit) and curvy (my fave) fits, and they have tons of options. These skinny jeans are my current faves. So soft and easy to wear. You can dress them up or dress them down. 40% off some new arrivals with the code JACKPOT! 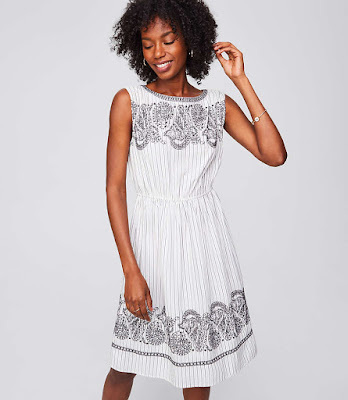 Including this gorgeous white embroidered dress. What have been your favorite finds this week?